Please give a warm and friendly CAC welcome to Helmut Knabl. 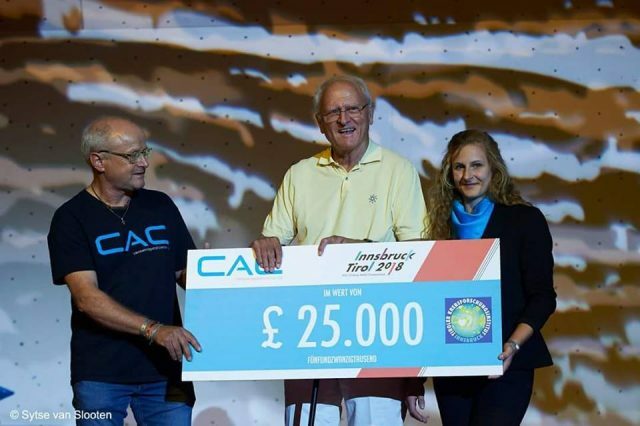 Helmut has joined CAC as one of our International ambassadors and in this role he organised the donation this September in Innsbruck Austria at the IFSC world cup event that was held there. Helmut was there to hand over the cheque to the Tyrollean cancer research institute. He has been a long time CAC supporter and a good friend of John’s who stayed with Helmut when ever he was in Austria. 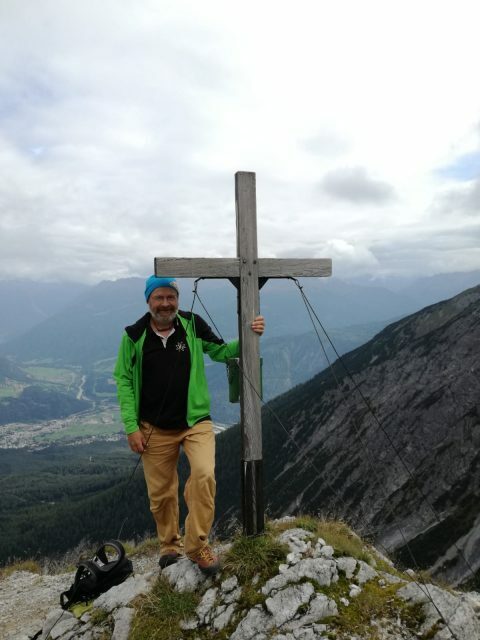 He is the director of the Sport middle school for climbing in Imst , an Honorary member of of the IFSC and the chief of the Imst Mountain Rescue team. He was the founder of the competition Climbing federation of Tyrol and a member of the board when the Austrian Climbing federation was founded. An impeccable resume I feel sure you will agree! Welcome Helmut and thank you for your support !